Martha Stewart Living Omnimedia, Inc. (MSLO) encompasses the varied publishing, broadcasting, and merchandising enterprises of its founder, Martha Stewart. With products reflecting the personal tastes and style of Stewart, the company's brands have been compared to the likes of Calvin Klein and Ralph Lauren in terms of name-brand recognition and quality. The company is comprised of four divisions: publishing, television, merchandising, and Internet/direct commerce, though all units took a beating after Stewart was convicted of stock fraud charges and served time from 2004 to 2005. Back in the fold, however, Stewart has been buoyed by public support following her prison sentence and has now returned to work as the company's founder working as a creative director, TV/radio host and columnist. Although Martha Stewart bought the company bearing her name from Time Wrner and incorporated it in 1997, the beginnings of the business can be traced to Stewart's activities two decades earlier. Stewart's formal education consisted of a bachelor's degree in history and architecture from Barnard College, and, following limited success as a model and a stockbroker, she decided to make a career out of her passion for food preparation and presentation. In 1976 Stewart founded her own business, a catering operation headquartered in the basement of the historic farmhouse she lived in with her husband and daughter in Westport, Connecticut, known as Turkey Hill. By the late 1970s, Stewart was running a successful, upscale catering business on the East Coast and contributing articles to The New York Times and House Beautiful. She was also hoping to parlay her expertise in party planning into a book on the subject. In 1980 she forged an agreement to write such a book for Crown Publishing, a division of Random House. Stewart reportedly had to fight for the lavish style she envisioned for the book, which included a multitude of color photographs and the large-sized format of a "coffee table book." Published in 1982, Stewart's Entertaining helped establish Stewart as an authority on taste; by the mid-1990s the book had sold over half a million copies. The production of her first book also proved to be a blueprint for how Stewart would build her image, and she continued to think big while maintaining a perfectionist's attention to detail. Stewart authored several more books in the 1980s, including Martha Stewart's Quick Cook, Martha Stewart's Hors d'Oeuvres, Martha Stewart’s Gardening, Martha Stewart's Quick Cook Menus, and Martha Stewart's Christmas. The books proved to have an enduring shelf life, earning significant income as backlist titles and remained in print well into the next decade. The next step in making Martha Stewart a nationally known brand name came in 1987 when Stewart signed a $5-million, five-year consulting contract with Kmart. Stewart was hired to help design home products for the retailer, including a line of Dutch Boy paint colors and bath and bedding products. Stewart's primary role, however, was to lend her name and style to Kmart's products, to appear in print and television ads, and to make in-store appearances. Back in the late 1980s Stewart had pitched an idea for a magazine to the publishing house of Condé Nast. The company's chairman, Si Newhouse, was wary of the idea for Martha Stewart Living, deeming a product dependent on one person as too risky. Stewart's idea was also turned down by Rupert Murdoch's magazine empire. In 1990, however, Time Inc. approved two test issues of Martha Stewart Living, with the first scheduled to come out in November 1990 and the second in March 1991. The public's response was unprecedented and subscriptions poured in. Time committed to publish six issues a year. Although Stewart had achieved her goal of moving into magazine publishing, the deal with Time was not particularly lucrative for her, at least not until the magazine became profitable, reportedly because other publishers had turned down her concept for Martha Stewart Living. By 1992 Stewart had become dissatisfied with her Kmart consulting and let the contract lapse, though Kmart continued to sell Martha Stewart towels, bedding, and paints. "I thought they wanted me to make real decisions for them," Stewart told Working Woman in 1995 about the Kmart deal, "but it turns out I was really hired as a personality, not a consultant. They acted on nothing I proposed." While the Kmart venture may have been a disappointment, Stewart's publishing career ramped into high gear. By 1995 there were more than four million copies of her books in print, her magazine was selling over a million copies per issue (now publishing 10 issues a year) and had been voted "Magazine of the Year" by Ad Age. Her nation-wide book tours soon led to paid lecture appearances, which in turn kept Stewart and her products in the media, popularizing her inimitable style. The magazine spawned several other new enterprises in the early and mid-1990s. Morning television's Today show agreed to fund the production costs of an appearance by Stewart every other week on the program. Stewart appeared at no charge and in return received free publicity for her magazine and books. Time, Inc. also began publishing books that made use of articles from the magazine, grouped according to theme; the first two were titled Holidays and Special Occasions. Once again ready to expand into new areas, Stewart convinced Time to fund a television show based on the magazine, also to be called Martha Stewart Living. The weekly show began with Group W Productions and covered home decorating, entertaining, gardening and cooking, and featured Stewart as the host. By 1993 the show was broadcast in 84 percent of the nation's markets. New ventures and the continued popularity of her magazine led Stewart to renegotiate her relationship with Time. To help with her negotiations, Stewart gathered a team of lawyers and consultants: Allen Grubman, a prominent entertainment lawyer; Sharon Patrick, strategy consultant; and Charlotte Beers, chair and chief executive of Ogilvy & Mather Worldwide. With these three advisers, Stewart persuaded Time to create a subsidiary of Time Warner called Martha Stewart Living Enterprises and to name Stewart chair and chief executive officer. Time provided all of the funds for the company, and Stewart provided the ideas and her name. The new corporation was jointly owned by Time Inc. Ventures, a division of Time Warner Inc., and Martha Stewart, though neither party revealed the percentage of their ownership. 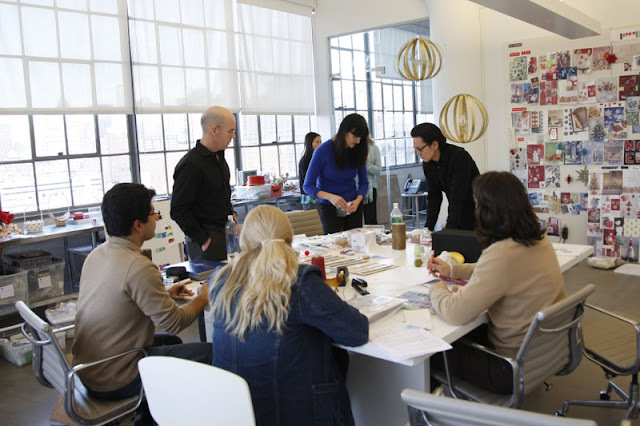 The company encompassed Martha Stewart Living magazine, its spin-off books, the new television show, and Stewart's Today Show appearances. Outside the company's purview were the books Stewart had written between 1982 and 1995; the royalties from the sales of Kmart bedding, towels, and paints; and Stewart's lecture fees. In 1995 Stewart continued to expand her reach with Martha by Mail, a merchandising venture which had begun as an insert in Martha Stewart Living magazine and was expanded into a full direct mail catalogue. A weekly syndicated newspaper advice column soon emerged (Ask Martha) and a prime-time Christmas special featuring Hillary Rodham Clinton debuted that same year. 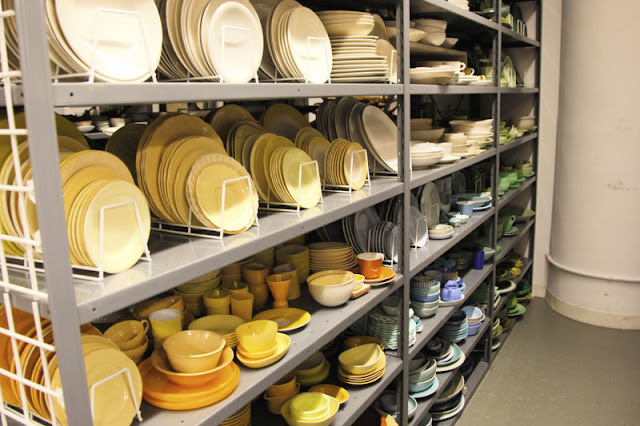 By 1996 Martha Stewart Living Enterprises had a staff of 140 and growing sales. Because Time Warner only announced sales figures for its publishing businesses as a whole, the value of the company was difficult to ascertain. Some industry analysts placed its worth at $70 million and estimated annual revenues at $200-million. Stewart began pushing to renegotiate her relationship with Time again just a year after the formation of Martha Stewart Living Enterprises. She wanted a greater equity stake (40 percent) in the company and the power to expand in new directions as the firm flourished. In 1997 Stewart acquired majority interest in the company and renamed it Martha Stewart Living Omnimedia, L.L.C. With the continued help of Sharon Patrick, Stewart had arranged the purchase of at least 80 percent of the company for about $75 million, although figures varied according to different accounts. Time's remaining stake in the company was generally estimated to be between 5 and 10 percent, with the balance of the stock held by Patrick and key staff members. The separation from Time was reportedly a friendly one. Don Logan, chair and CEO of Time Inc., agreed to join the new board of directors for Martha Stewart Living Omnimedia. Stewart initially appointed Patrick president and chief executive officer, but soon took the helm as CEO, while Patrick remained president and COO. The buyout was financed in large part with new contracts from Kmart and Sherwin-Williams. The Kmart deal added to concern among market analysts that Stewart was clouding her image with too many endorsements and target markets. 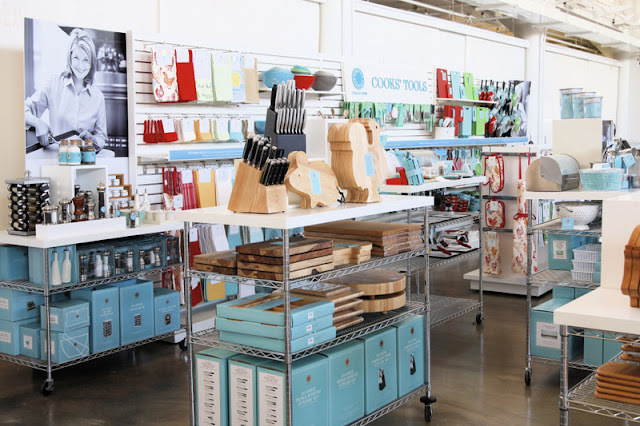 The new Kmart deal, however, was different than the first in that Martha Stewart Living Omnimedia retained complete control over the entire production process, from design to advertising, of the newly named Martha Stewart Everyday product line. "Whether it's a hang tag on a dish towel or a label on a paint can, everything has to look as good as it does in the magazine," Production Director Dora Braschi Cardinale explained to the New York Times. With such control, the company hoped to maintain a consistent brand image. The contract with Sherwin-Williams was signed in May 1997 for a line of Martha Stewart paints. Originally carried exclusively by Kmart, Sears began offering the paint line in March 1998. Free to pursue her vision for the company, Stewart led a rapid and varied expansion of Martha Stewart Living Omnimedia in 1997 and early 1998. 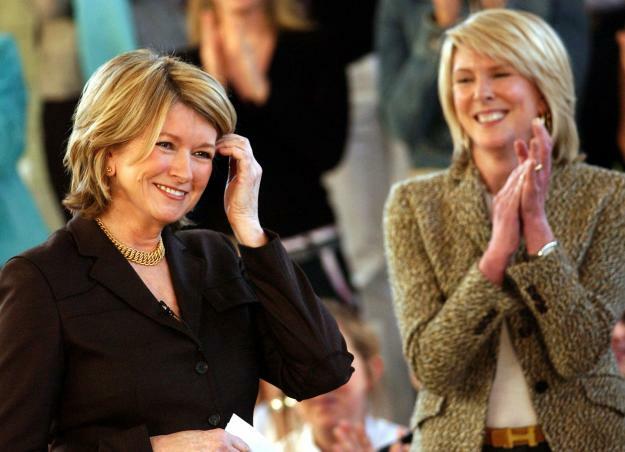 The Martha Stewart Living television show moved from a weekly to a weekday schedule. The show was distributed by CBS and Stewart soon left her biweekly appearance schedule on NBC's Today Show to appear weekly on the CBS This Morning program. In addition, the company launched a daily 90-second radio feature known as Ask Martha and a web site (marthastewart.com) with a wide range of information about the television show, magazine, and Stewart's books. The site also highlighted items from the Martha by Mail catalogue and allowed users to order products over the Internet. Stewart also had further plans for the lucrative Kmart partnership, hoping to build on her brand's name by introducing new lines of cooking, gardening, and decorating merchandise. Near the end of 1997 the company completed construction on a new $4 million studio in Westport, Connecticut, for taping Stewart's television and radio shows with large kitchens and state-of-the-art equipment. 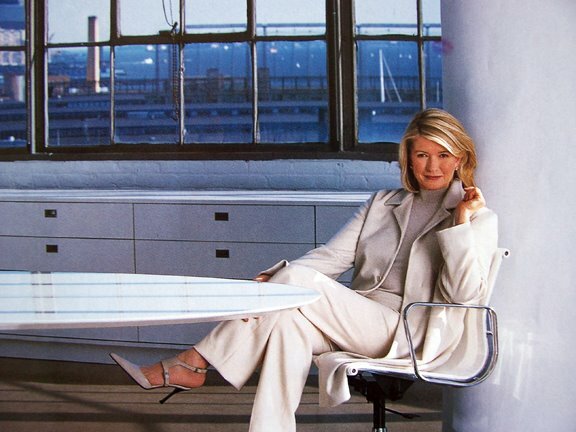 Circulation of Martha Stewart Living magazine had grown to 2.3 million for 1997, 30 percent higher than 1996. Total year-end revenues for 1997 came to $132.8 million, with earnings of $13.9 million. The magazines and television show were now also being distributed in Canada where the Martha Stewart Everyday line was sold at a discount retail department store called Zellers and later distributed through Sears Canada. In early 1998 the company's new and established ventures were going strong. The Ask Martha newspaper column was syndicated in 212 papers in the U.S. and Canada, and the radio program was broadcast on 135 stations. The Martha Stewart Living television show had top ratings and was offered on 197 stations across the nation. Though Stewart had talked about taking the company public since gaining ownership, she became more serious about the issue in 1998. Market analysts debated whether the company had the ability to stand on its own. Linda R. Killian, an analyst and portfolio manager with the Renaissance Capital Corporation, commented to the New York Times, "If Martha Stewart got hit by a cab tomorrow, to what extent is there a viable company there?" Others questioned whether profits would be hurt by continued expansion. Stewart, herself, expressed total confidence in the independence of her company to the New York Times: "It won't die without me. I think we are now spread very nicely over an area where our information can be trusted." Consumers evidently concurred, helping MSLO bring in revenues of $177.2 million for 1998 with net income climbing to $23.8 million. Stewart took her road show to Wall Street in October 1999 with an initial public offering of over 8.28 million shares for $18 each. The offering generated funds of more than $132 million and amazed nay-sayers and fans alike. The new firm, Martha Stewart Living Omnimedia, Inc., under the ticker symbol MSO, became a darling of Wall Street and consumers with stock prices rising as high as $50 a share. It was the perfect time to launch another new venture with the debut of From Martha's Kitchen, a half-hour cooking program to air on cable television's Food Network in late 1999. Martha Stewart Living Omnimedia, Inc. finished its maiden year as a public company with profits topping $229 million and zero debt. By 2000 Martha Stewart Living magazine's circulation had reached 2.1 million and the homemaking publication went from 10 issues per year to 11, with plans for becoming monthly the following year. Its sibling publication, Martha Stewart Weddings, which had debuted in 1994, had gone from an annual publication to biannual and then quarterly. Other special interest magazines had also joined the ranks, including Martha Stewart Baby and several periodical issues, such as Clotheskeeping and Entertaining. A new quarterly magazine for families, called Martha Stewart Kids (later changed to Kids: Fun Stuff to Do Together) was published in July 2001, filled with recipes, crafts, and games for kids aged three to ten. Stewart also expanded further into home furnishings through a deal with Bernhardt Furniture Company for a Martha Stewart Signature collection in 2001, the same year MSLO signed with Japan's Seiyu, a retail chain of more than 200 stores. Seiyu was slated to carry a broad range of Stewart branded products, while the two companies were to collaborate on a new magazine called Martha, published in Japanese. A new Martha Stewart Store opened in the chic Yurakucho district of Tokyo, exclusively selling Martha Stewart branded merchandise. The original Martha Stewart logo, on the left, was featured prominently on the upper-left corner of the magazine for more than a decade. In 2004, it was removed. By 2006, the logo had been redesigned by Doyle Partners design firm in a circular form. An error in judgment with devastating consequences also occurred in 2001, profoundly changing the company’s high profile, as well as the image of its founder. Whether Stewart willingly committed a crime or simply acted irresponsibly, she sold ImClone stock after allegedly receiving a tip from her friend Samuel Waksal, ImClone's chief executive. An adverse FDA report then sent ImClone stock tumbling, and soon Stewart, Waksal, and Stewart's broker Peter Bacanovic were questioned by federal investigators about the legalities of the stock sale. As the case gained momentum, it became clear Stewart would face criminal charges. While many called the investigation a witch hunt, few believed Stewart would ever face trial. Revenues for 2001 totaled $288.6 million as suspicion of Stewart's actions grew. By 2002 Stewart was in the middle of a legal and media maelstrom. Waksal was arrested for insider trading and Bacanovic began cooperating with investigators. Federal prosecutors suspected not only wrongdoing but a coverup as well. With all the publicity affecting MSLO, Stewart cut back her involvement as the company began showing signs of the strain by the middle of the year. Consumer confidence in Stewart teetered despite her protestations of innocence; by the third quarter earnings had fallen and stock value was down by more than half. The end of the year brought revenues of a relatively strong $295 million, but income of only $7.3 million. Ad revenues in her magazines were down by 50% and newsstand sales began to decline substantially, even though subscriber loyalty remained consistent. Kids magazine folded during this period and in light of the highly-publicized trial and ongoing legal woes, the television show was also cancelled. By the time Stewart was indicted in July and went on trial in 2003, she had resigned as chief executive and chair of her company, serving as a "creative officer” of the board. Revenues for the troubled year had fallen to $245.8 million and the company suffered its first ever annual loss of $2.7 million. Stewart's five-week trial ended in March 2004 when she was convicted on charges related to conspiracy and obstruction. She was fined $30,000, sentenced to five months each of prison time and home confinement, and two years probation. She served her prison time from October 2004 to March 2005 at the federal penitentiary for women in Alderson, West Virginia. After her release, she served the remaining five months at her home in upstate New York and was forced to wear an electronic monitoring device on her ankle. She was allowed to leave her estate for up to 48 hours per week while under house arrest. While Stewart's legal woes certainly affected MSLO's performance (2004 revenues only reached $187.4 million with a hefty loss of $60 million), there was hope for a brighter future. New deals included broadening the company's branded product line with Bernhardt Furniture Company; extending its licensing agreement with Kmart until 2010; the purchase of Body & Soul magazine from New Age Publishing; and collaborating with pet guru Marc Morrone for a new television program called Petkeeping with Marc Morrone, which also included newspaper and magazine columns. In 2005 as Stewart returned to work, she was welcomed back by many of her colleagues and loyal customers. In her absence friend and stockholder Sharon Patrick had taken the helm but stepped down in late 2004, replaced by Susan Lyne, a former television executive, as CEO and president. With Stewart still under a cloud due to a Securities and Exchange Commission lawsuit related to her criminal conviction, she was unable to lead the company in any significant way. (Her shares had been put in the control of her daughter Alexis while Stewart was in prison.) Stewart was, however, front and center in several new television development deals, two of which paired her with Survivor and Apprentice producer Mark Burnett. Not only would Stewart host an hour-long live program featuring cooking and decorating, but she would also star in a new version of The Apprentice made famous by Donald Trump. Other new ventures included a deal with Sirius satellite radio for a Martha Stewart Living radio program, and the cable television Style Network acquiring the rights to run previously-aired episodes of the Emmy-winning Martha Stewart Living twice daily along with a few newly produced specials. By the middle of 2005 both Stewart and her company were regaining lost confidence and making strides in all of MSLO's business segments. The television, publishing, merchandising, and Internet/direct commerce divisions were touting new products and partnerships. Though Stewart's legal problems were not over, she was more than ready to move forward and to once again make her empire "a good thing." New alliances and projects continued in 2006 and 2007. A new bimonthly magazine, Blueprint, was launched in summer 2006: a lifestyle and fashion publication geared towards younger women. Home plans designed by Martha Stewart, based on the concepts and plans of her own homes, emerged in a partnership with KB Homes, which created specially branded Martha Stewart housing developments in a number of communities across the United States. A new merchandising partnership with Michael’s craft stores saw the debut of Martha Stewart Crafts (craft supplies) in spring 2007 and a deal with Federated Department Stores realized the distribution of higher-end home and kitchen products at Macy’s with the Martha Stewart Collection. A new line of flooring was also designed and distributed in partnership with Flor, a company specializing in coordinated carpet floor tiles, and a new line of Martha Stewart paint colors was unveiled at Lowe’s stores. Two recent books by Martha Stewart Living became bestsellers: Martha Stewart’s Homekeeping Handbook and the Everyday Food Cookbook. A ten-book deal with Clarkson Potter was also forged in 2007, ensuring long-term publishing ventures.